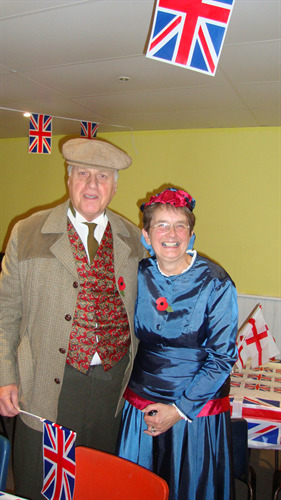 A WWI charity event organised by WAVES Family Support, Seahaven Storehouse and the Mayor of Seaford was held in support of the two charities on 8th November 2014. 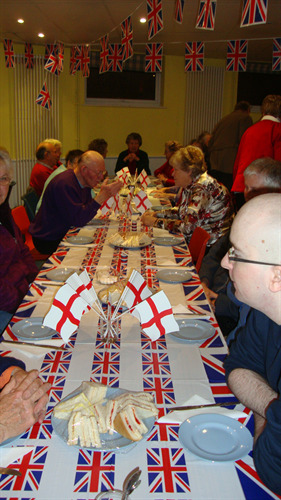 The event began in the afternoon with a Tea Party which provided authentic food that would have been available after WW1 ended. Things such as fish paste, and jam sandwiches, Mothers homemade bread pudding and lemon curd tarts were served with cups of tea followed by jelly and custard. Approximately 40 residents attended the party. 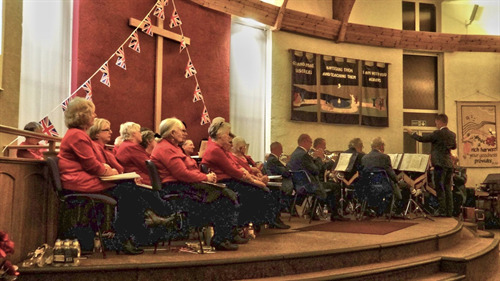 In the evening there was a WWI themed concert that was attended by over 100 people with performances of music and songs from the 1914 -1918 period by Seaford Silver Band, the Archway Choir and Seaford Baptist Church Choir. Members of the audiences had an enjoyable time singing along.